We had a great day on the Rail Trail - about a dozen riders (in our group) and lots more along the path. We had two tandem teams of dads with stokids, all of whom did very well. A bit windy along the waterfront, but nice and sunny. Thanks to David for leading the ride, pointing out the sights, and updating us on future plans and prospects for trail expansion. Next Saturday's ride takes us back to the fine cycling roads along the Tour de Litchfield. This was a very popular ride last year, as hinted by the highlights (below). Hope to see you all there! 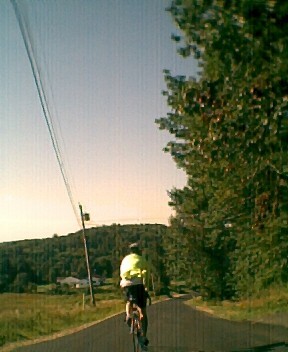 "Tour de Litchfield" - an exploration of the back roads of Litchfield. START: 9:30 AM at the Libby-Tosier Elementary School parking lot, at the junction of Rt. 197 and Academy Road in Litchfield Corners.